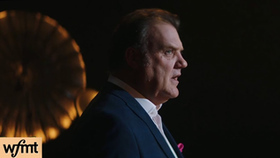 Welsh bass-baritone Sir Bryn Terfel has established an extraordinary career, performing regularly on the prestigious concert stages and opera houses of the World. After winning the Song Prize at the 1989 BBC Cardiff Singer of the World, Sir Bryn made his professional operatic début in 1990 as Guglielmo in Così fan tutte with Welsh National Opera. He made his international operatic début in 1991 as Speaker in Die Zauberflöte at the Théâtre de la Monnaie, Brussels and made his American début in the same year as Figaro with Santa Fe Opera. Other roles performed during his career include Méphistophélès in Faust; both the Title Role and Leporello in Don Giovanni; Jochanaan in Salome; Scarpia in Tosca; the Title Role in Gianni Schicchi; Nick Shadow in The Rake's Progress; Wolfram in Tannhäuser; Balstrode in Peter Grimes; Four Villains in Les contes d'Hoffmann and Hans Sachs in Die Meistersinger von Nürnberg. Sir Bryn marked his 50th birthday and twenty five years in the profession with a special one-off Gala Concert at the Royal Albert Hall, presented by Hollywood star Michael Sheen. The celebrations continued at Cardiff's Wales Millennium Centre, where he sang Scarpia in a special concert performance of Tosca with the Welsh National Opera. Recent performances include Holländer in Der fliegende Holländer for Zürich Opera; Falstaff at the Royal Opera House, Covent Garden and the World Premiere of an original show by Robat Arwyn and Mererid Hopwood – Hwn Yw Fy Mrawd - chronicling the life of the film star and singer Paul Robeson at the Wales Millennium Centre, Cardiff as part of the National Eisteddfod of Wales. 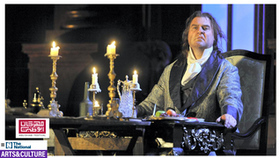 This Season, Sir Bryn will perform Sweeney Todd for Zürich Opera; Boris Godunov for Deutsche Oper Berlin and the Royal Opera House, Covent Garden; Holländer in Der fliegende Holländer at Bayerische Staatsoper Münich and Scarpia in Tosca at the Royal Opera House, Covent Garden. Operatic highlights to date include his début in the role of Hans Sachs in the critically acclaimed production of Die Meistersinger von Nürnberg for Welsh National Opera; Wotan in The Ring Cycle at the Royal Opera House, Covent Garden and the Metropolitan Opera, New York; his début in the role of Reb Tevye in Fiddler on the Roof for Grange Park Opera and his début in the role of Boris Godunov for the Royal Opera House, Covent Garden; Sweeney Todd for English National Opera and hosting a four day festival, Brynfest, at the Southbank Centre, London as part of the Southbank Centre's Festival of the World. 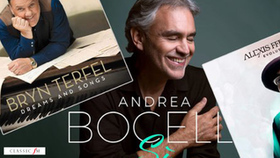 Equally at home on the concert platform, his highlights range from the opening ceremony of the Wales Millennium Centre, BBC Last Night of the Proms and the Royal Variety Show to a Gala Concert with Andrea Bocelli in Central Park, New York and for nine years, he hosted his own festival in Faenol, North Wales. 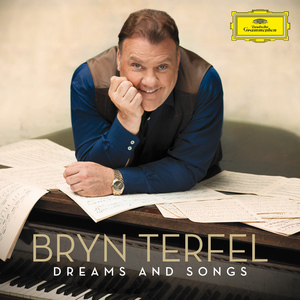 Sir Bryn is a Grammy, Classical Brit and Gramophone Award winner with a discography encompassing operas of Mozart, Wagner and Strauss, and more than fifteen solo discs including Lieder, American musical theatre, Welsh songs and sacred repertory. 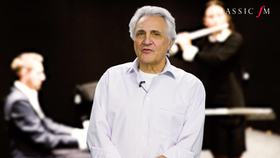 Bryn was made a Commander of the British Empire (CBE) for his services to Opera in 2003, was awarded the Queen's Medal for Music in 2006 and received a knighthood for his service to music in 2017. He was the last recipient of the Shakespeare Prize by the Alfred Toepfer Foundation and in 2015; he was given The Freedom of the City of London.